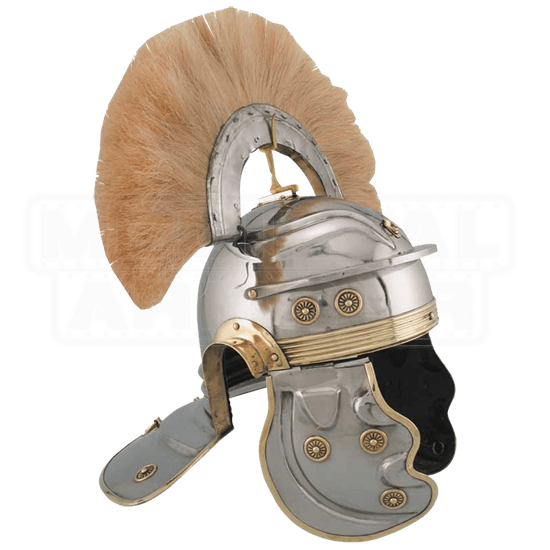 This wonderful and historical full size Roman helm is handcrafted of 18 gauge steel. 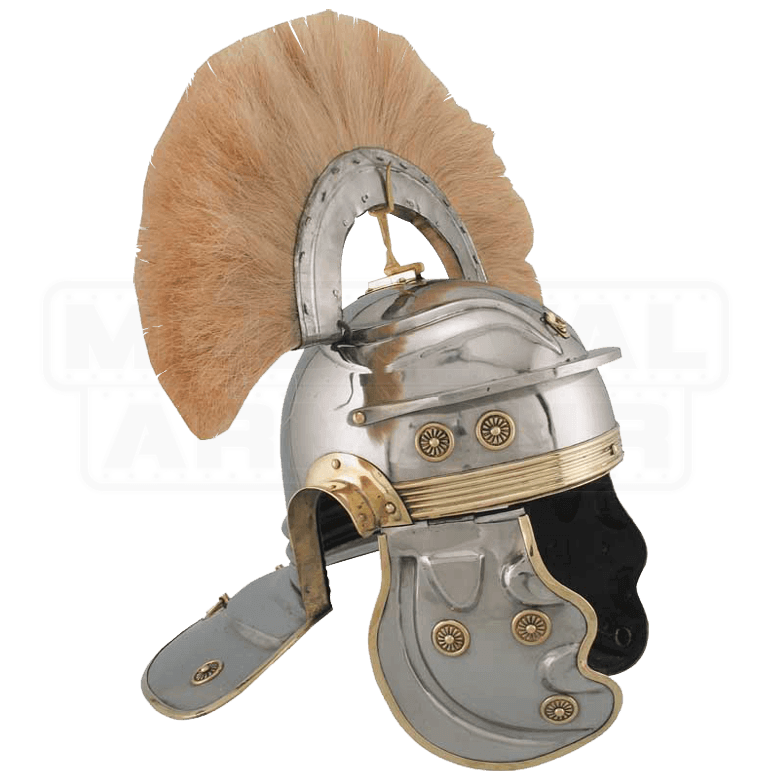 The Roman helmet is as glorious as the originals with striking blond hair plume, easily distinguishing the commander when in battle. The Roman helmet is fully functional and wearable. This helm would make a great addition to your medieval collection or wear on the Roman battlefield during a re-enactment.